We’re fairly certain you won’t have heard of Wolfpack Tires, or Wolfgang Arenz the man behind the brand, but you will most certainly know some of the products he helped develop. Wolfgang is a compounder, basically, someone who works on mixing different rubber compounds to bring us riders useful features that help us gain traction, slow down, and generally remain rubber side down. Wolfgang Arenz owner of Wolfpack and international man of rubber compounds. 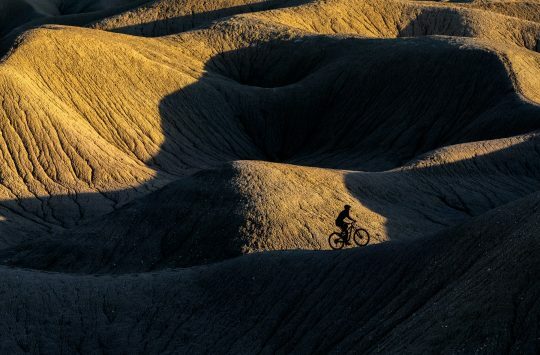 He started working in the cycling industry back in 2005 at Continental where he quickly made a name for himself after working on the famous Black Chili Compound. He then worked with Specialized from 2012-2015 and most recently was the person in charge of the Addix project at Schwalbe. 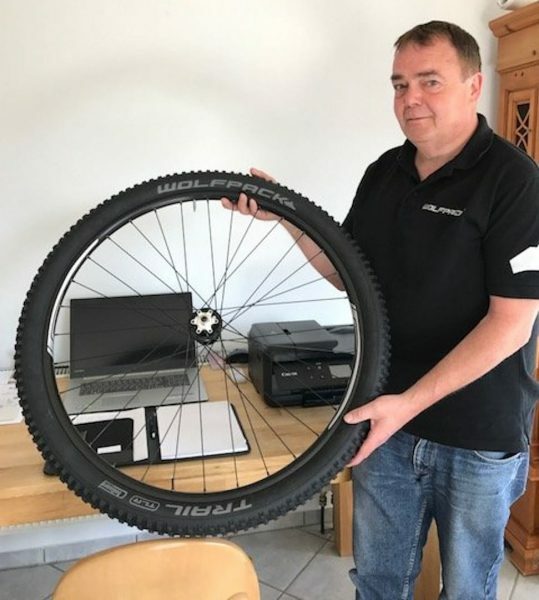 In addition to knowing his way around top-quality rubber, Wolfgang is a whizz when it comes to casing construction, casing compound, puncture protection materials and profile design, so basically everything you need to know if you were to have your own tyre company. The Wolfpack Tires booth at Eurobike. After working with some of the biggest names in the tyre world, he’s decided to go it alone and has since started Wolfpack Tires with the simple objective to create the best tyres in the world at an affordable price. Simples. After years of working for other companies and understanding what is needed to create high-performing tyres, Wolfgang set about creating his own unique compound. 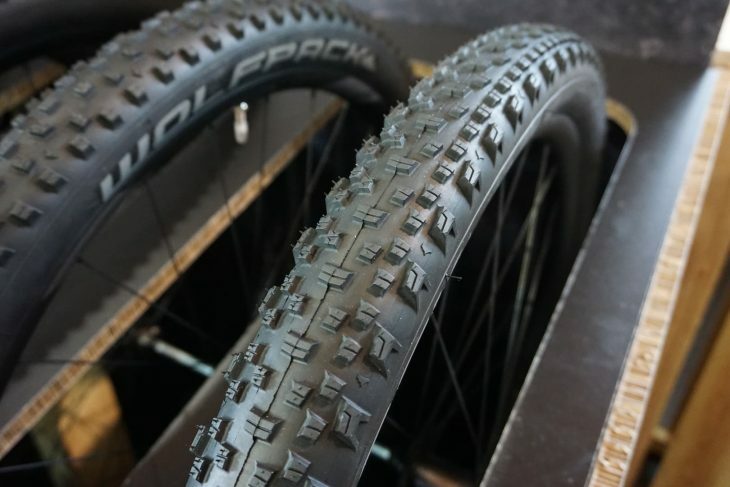 Wolfpack currently offers 3 mountain bike tyres. We don’t have many details about his secret formula but we know it’s called “ToGuard” and that it has been designed to enable the lowest rolling resistant and maximum grip. Speed and safety were concerns of Wolfgang’s too, but it seems he got his ratios correct as pro road racing teams, like Michelton – Scott, had already agreed to purchase Wolfpack tyres based on prototype testing alone even before the company even existed! 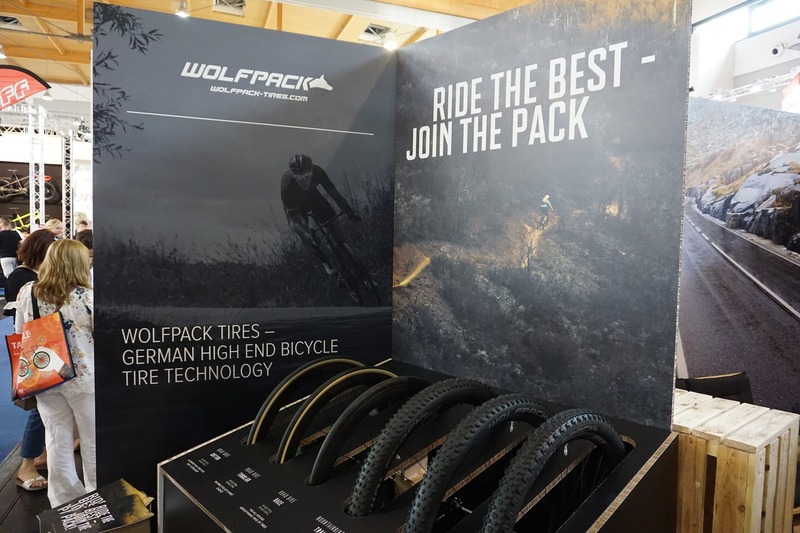 Obviously Wolfpack doesn’t only make road tyres, otherwise we wouldn’t be writing about the company here, and at Eurobike they had three mountain bike tyres on show. 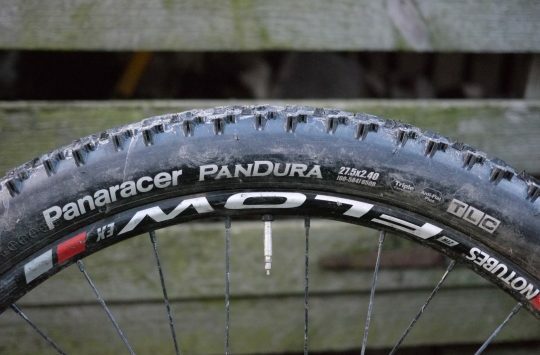 The three tyres we saw are called the Race, Trail and Cross, each designed with a unique tread pattern to suit different riding conditions. The Wolfpack Trail tyre is said to be an all-rounder and comes in 27.5in or 29er options. 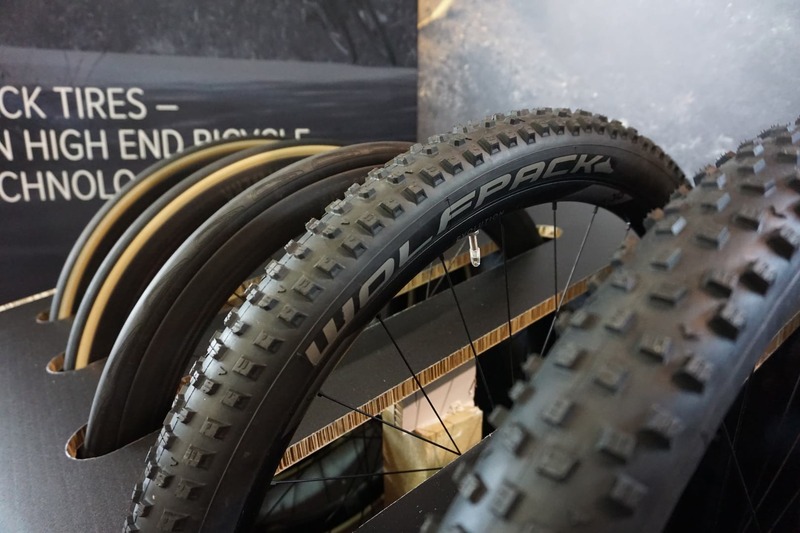 The Trail is Wolfpack all-mountain/trail tyre designed to offer “perfect grip” in all conditions. 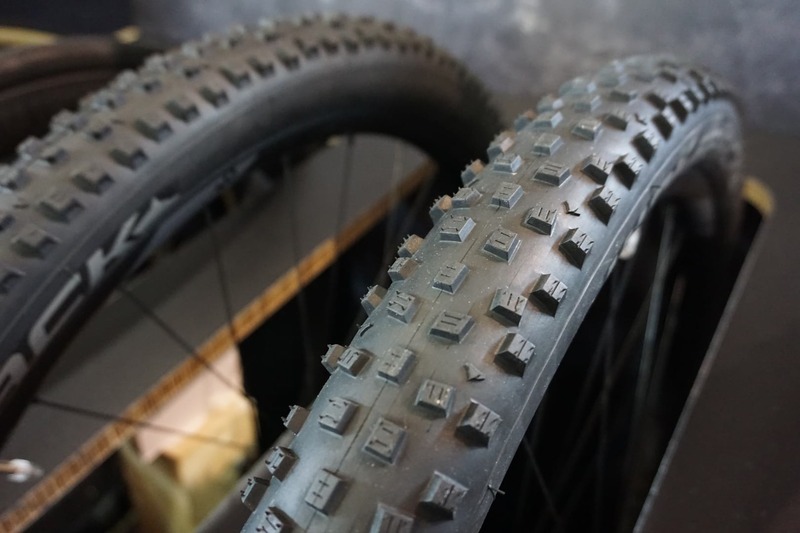 The tread profile is quite deep, perhaps slightly shallower than a Maxxis Shorty and looks like it would dig into mud as well as being quite fast of dry conditions. 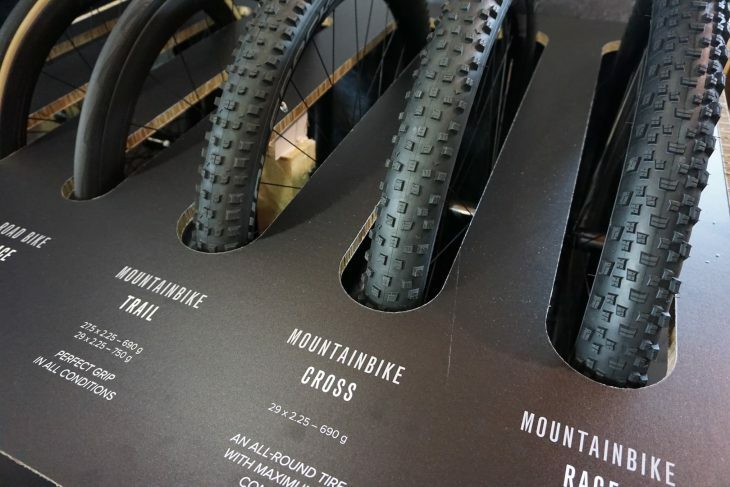 The Cross is also called an all-round tyre, but with a weight of just 660g we believe that it’s aimed at cross-country and trail riders. The fast rolling Wolfpack Tires Cross. 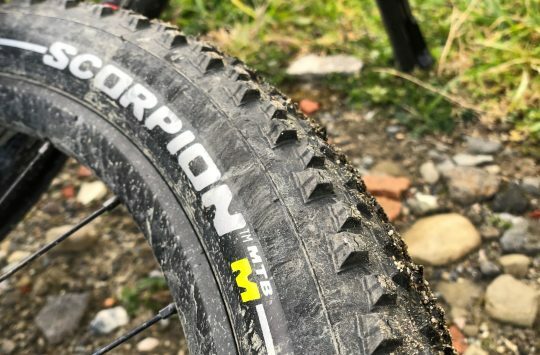 Finally, we have the Race which features a more tightly packed tread design perfect for a hardpack or dry conditions or perhaps using on the rear in summer. One thing worth mentioning is that Wolfgang appears to be a believer in wider rim profiles and while the dimensions of the tyres don’t sound wide compared to the 2.6in standard that we’re seeing enter the market, they appear to measure up on the large side. Pricing for Wolfpack tyres starts from just €39.90 (€34.90 if you go through the company webshop) for a 2.25in model in either 27.5in or 29in while a 2.6in version has an RRP of €44,90 ( €39.99 via the webshop) though the wider tyres won’t be available until August. More info over on the Wolfpack Tire website. Pretty sure that last pic is of the Race, not Cross?